I got these photos of Satyrium nepalensis from the botanist Bhakta Bahadur Raskoti in Katmandu who has just published a new book presenting “The Orchids of Nepal”. He wrote me that there are some species of orchids in Nepal which are flowering in pink and rarely in white. 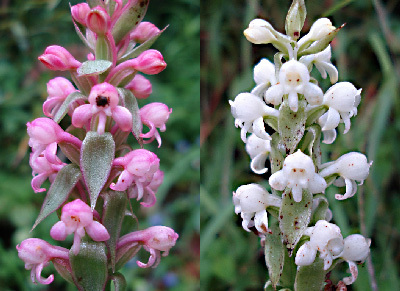 In addition to Satyrium nepalensis those are Spiranthes sinensis, Rhynchostylis retusa or Anthogoneum gracile. Spiranthes sinensis reminds of the European Spiranthes spiralis, its standard form shown in the book of Bhakta Bahadur Raskoti has dark pink sepals and petals and a white labellum. 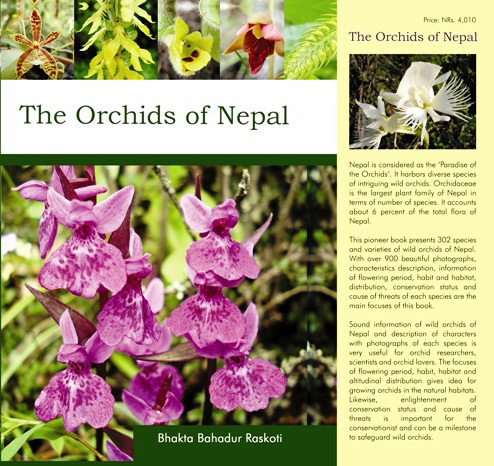 “Orchids of Nepal” presents 302 species with more than 900 photos. Among them 14 species are new reports for the orchid flora of Nepal.